Pete Miranda has worked and recorded with most top Latin American artists, including Tito Puente, Machito, Celia Cruz and many more. He is also on three Grammy winning recordings. 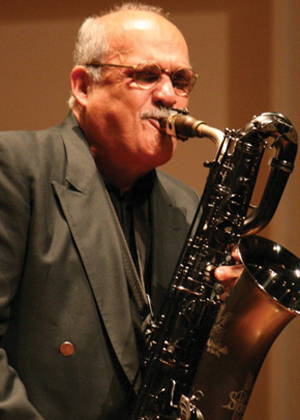 Pete played for Rock bands including the 5th Dimension, Martha Reaves, and the Vandellas, as well as for local New York, New Jersey, and Westchester Swing bands. Click here to listen to an extended interview with Pete Miranda.